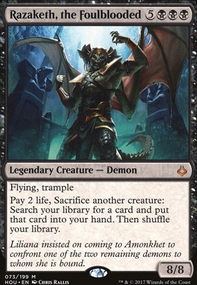 Is it safe to sacrifice Abyssal Persecutor to an effect that gains me life if both my opponent and I are at zero? [email protected]_only on GET READY FOR THE SHOWSTOPPER!!! 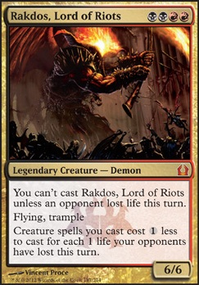 I've seen better luck with Rakdos, Lord of Riots and cards with high converted mana costs that were primarily colorless (like Artisan of Kozilek or Exsanguinate). love the building theme though. Nice! 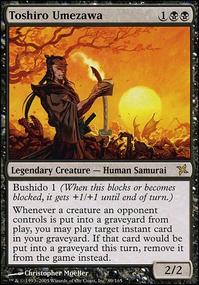 I have a deck that is a bit like this, but with a few differences, because my budget is lower. 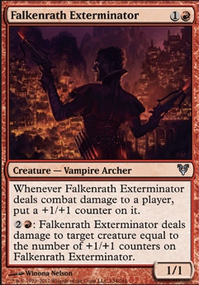 As I look over your list, the first thing that jumps out at me is that you have a lot of targeted removal. You have 18 targeted removal spells in the deck. 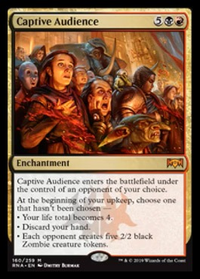 I think it might be best to slot in some discard somewhere in there in place of a few Thoughtseize or, if you’re on a budget, Inquisition of Kozilek. 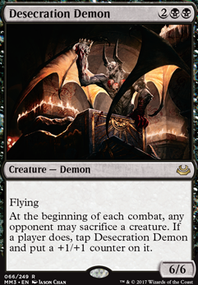 I mean, I know you would want more than normal because of Abyssal Persecutor, I have found discard to be very helpful in matchups like Bogles and games with Ensnaring Bridge, so I can take out those cards early. Hope that helps!